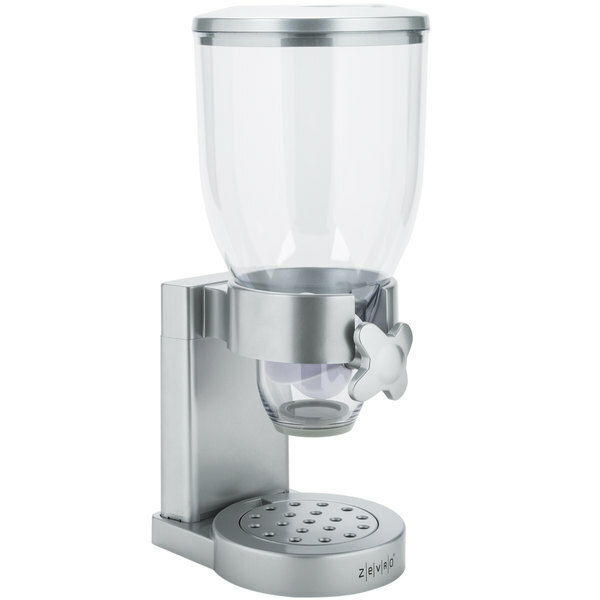 Let the attractive, modern styling of this silver Zevro KCH-06119 dry food dispenser captivate customers at your hotel breakfast bar, market, or coffee shop! 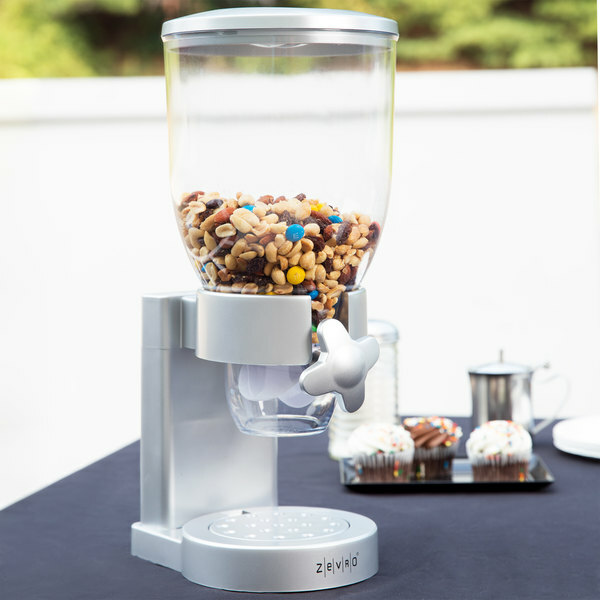 The Zevro KCH-06119 single dry food dispenser is perfect for serving and merchandising a variety of products such as cereal, granola, candy, trail mix, coffee beans, or pasta. 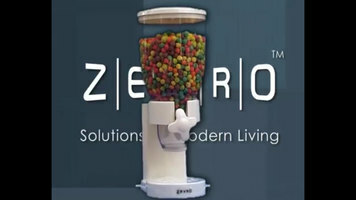 The Zevro KCH-06119 dry food dispenser also helps reduce waste and save money by controlling portion size. 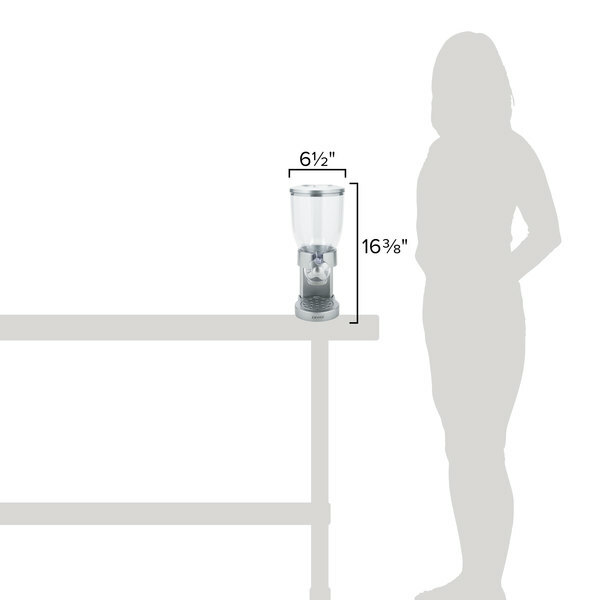 Each twist of the tap releases a measured 1 oz. of product. Its ample 4 liters clear plastic canister is specially designed to keep your dry foods fresh for up to 45 days. Saved counter and cupboard space. Easy to assemble and easy to clean. 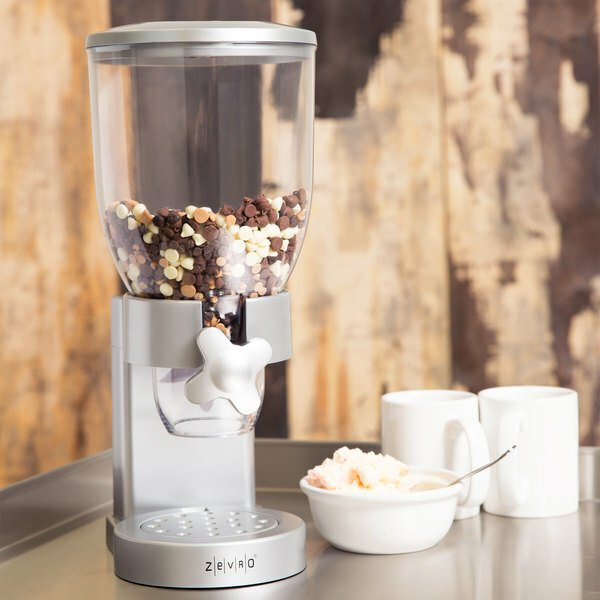 I’ve used a variety of different cereals and all have dispensed well. Love it! 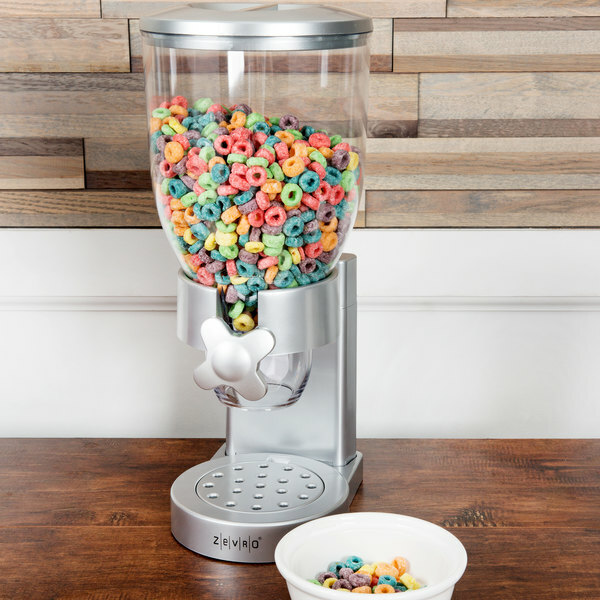 the silver food dispenser is great , works great and looks great, it keeps the cereal nice and fresh throught the whole day , i recommend you buy this! 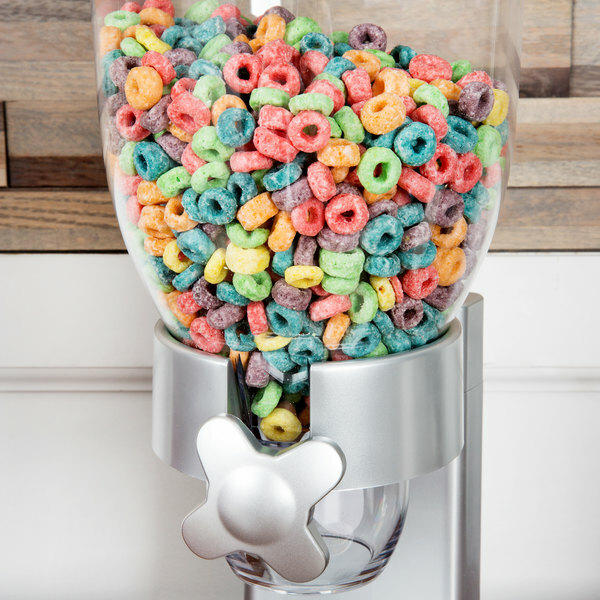 I love this cereal dispenser! I have a pretty modern kitchen (stainless appliances, table, etc.) and this fits right in. The best part about it is my daughter loves to "make" her own breakfast now because she feels like we are staying in a hotel. The piece is very easy to assemble and clean (which is most appreciated). It also has a cap that you can place on the dispenser part so the cereal won't get stale unlike cereal boxes. Shipping was very quick and I loved that they kept me informed of my order status the entire time. 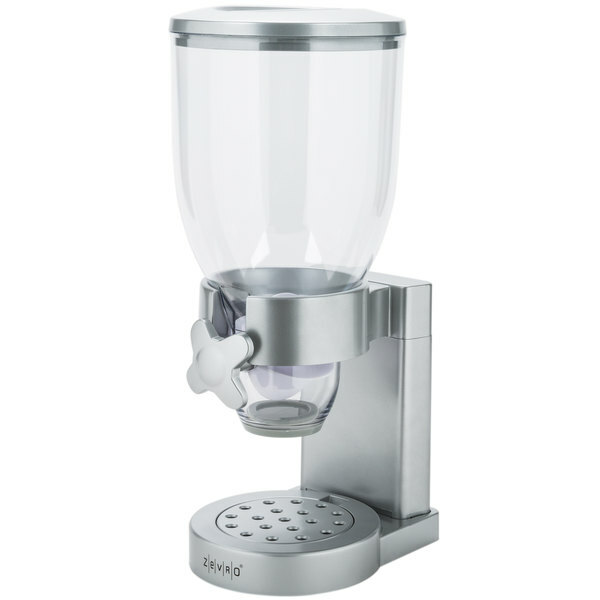 This is single dry food dispenser is perfect for home use or for a hotel continental breakfast. It doesn't make a mess and doesn't take up a lot of space.